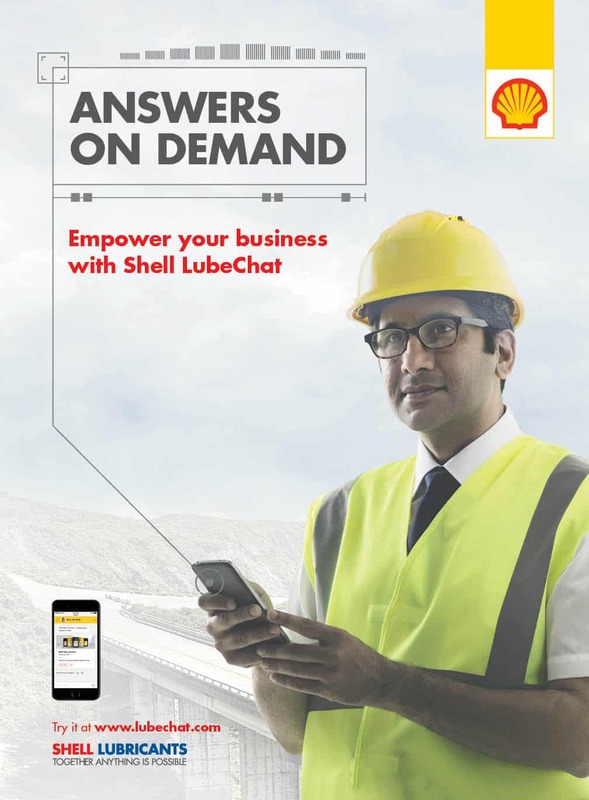 Shell Lubricants announced the launch of Shell LubeChat – an interactive, intuitive, and integrated digital platform designed to offer solutions to its valued customers – distribution sales representatives, maintenance heads, and service engineers. It is an easy to use, AI-enabled chatbot that can deliver information on real-time basis to end customers across the construction, general manufacturing,agriculture, power and fleet industry in India. LubeChat optimises customer work efficiency by solving day-to-day challenges like breakdown, downtime, and credibility of information. Shell LubeChat helps users find the most suitable product for their equipment allowing them to browse for Shell product alternatives to competitors, download data sheets and recommend relevant case studies. LubeChat follows the philosophy of nurturing partnerships at Shell, which has led the company to earn the tag of global market leader for the past 10 years. Launched first in India, the chatbot is an example of Shell Global’s value proposition that ‘Together Anything is Possible’. Shell Lubricants believes that there is potential for lubrication to deliver significant enterprise value by helping reduce Total Cost of Ownership (TCO) and improve equipment productivity. LubeChat is a transition from simply selling Shell lubricant products and services to providing a collaborative customer-centered service. Prior to the launch, Shell had conducted extensive testing in five Indian cities (Delhi, Gurgaon, Mumbai, Pune and Bangalore) and three Chinese cities (Shanghai, Hefei, and Guangzhou) with distributors, maintenance heads, project leads and end-users to design an interface for optimum customer satisfaction. Shell aims to unveil LubeChat to 10,000 users in the coming three months across markets in the country. Shell Lubricants has a range of products and services that deliver value to customers and diverse partners. Adding to the same, LubeChat is a testimony to the perfect synergy of cutting-edge technology and expertise available at a single invaluable repository. LubeChat is Shell’s latest endeavour to inform and educate partners and keep customer interests at the forefront, thereby bringing together people, products, and services under one umbrella to power progress.